Her hair was long and the colour of blood. Her skin was as smooth as a sheet of glass. She turned heads as if by strings as she glided down the stairs into the now silent hall. But she was practically a sideshow compared to that dress, that beautiful, brilliant green dress that ebbed and swirled around her ankles like a shaft of light playing on the sea. The first gentleman asked her to dance, and the dress floated her forward. As she spun, it gleamed in the dusty light, and the air itself seemed to glitter as she moved. Indeed it did glitter. Shimmering flakes of green now orbited the girl with the gorgeous gown, shed by the dress that rippled around her body. But then the girl in the emerald gown seemed to freeze. Her eyes took on a glazed appearance and she faltered, stumbling over the hem of the beautiful dress. Her hair was coming undone, and as she lurched forward it parted to reveal discoloured patches of brown on her skin. She hit the ground shoulder first, and the crowd backed away before closing in on the prone body, face down on the marble floor. The smelling salts failed so they called out a doctor. He leeched her and fed her a little vinegar in egg white, but could not revive her from the faint. Her breathing grew increasingly erratic so he rolled her onto her side and unlaced back of the dress. He pulled it open and started unfastening the corset, but stopped when he noticed the state of his hands. Where his palms had touched the dress, they shone with the same vibrant green. His fingertips especially were coated in colour. He rubbed them together and glittering flecks fluttered through the air onto the floor. The girl worsened and died a few days later, just as the doctor himself began to fall ill. Meanwhile, across London, a child woke in a hospital bed. She was pale and thin, but her eyes were quick and bright as they moved from face to face of the small crowd gathered around her. She sat up straighter as the governess perched beside her and reached for the child’s hand. In celebration, they said, they’d bought her a silken eiderdown, to replace the old one they’d had to burn when the child first grew sick. The child cuddled the eiderdown and thanked her parents profusely. Everyone agreed that she was a sweet and thoughtful child. But that night, when all of her visitors had gone, she became feverish again. She fell unconscious at midnight and could not be roused. Unsightly brown blotches appeared on her arms and expanded many times their original size. The child died at seven the next morning, still wrapped in the emerald eiderdown, which was ultimately used as her shroud. Mr. Spicer leaned against a brick wall in Fleet Street, reading the morning paper with his hat pulled low over his eyes. What he was looking for was not on page one, page two, page four, page eight or page sixteen. It was tucked in a corner on page twenty-six, and the article was barely a hundred words long. Poison suspected. He would have to act soon. 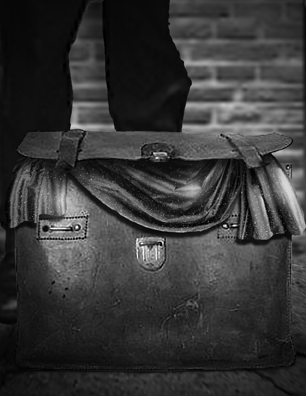 He slipped the paper into the large leather briefcase at his feet, which was already so full that the sides bulged. In the split second, it was open, the insides flashed brilliant green. Mr. Spicer was good at keeping secrets. He was keeping several big ones right now. The first was that he was a genius. He had been careful to let nobody realize this, but it was true. He had secretly engineered a new kind of cloth which he intended would make him very rich indeed. He had called it Boa’s Silk, and it was Mr. Spicer’s greatest invention. While it was technically a form of tarlatan, which had been around forever, Spicer knew his Boa’s Silk was special. It looked just like the kind of silk that was fashionable with upper-class women, but somehow more beautiful. It was as lithe and lustrous as genuine silk, but softer and more pliable, more slippery and supple than most of the real silk that was brought from overseas. Boa’s Silk could be dyed a variety of colors, but dyes were expensive and Mr. Spicer didn’t like to spend the money. Besides, he liked tarlatan’s natural colour: a sparkling, vibrant green. It didn’t matter that the material began degrading after barely a month, or that it actually began to flake after just a few days. The more important thing was he could sell as expensively as silk but make it for a fraction of the price. He could buy cheap linen from the street vendors and strip it to threads. Copper was harder to come by, so at midnight he would climb the roof of a nearby shop and steal its copper lining to be liquidated in his forge. Then he could mix in the secret ingredient and bake it together, and lo! Beautiful tarlatan! The last ingredient was another of Mr. Spicer’s secrets; he could never give away the key to his success. His first stop of the day was the apothecary, where he spent a shilling on a large wooden strainer and a two-pound cake of arsenic. “To kill rats,” he told the clerk. The street vendors were loud today. Mr. Spicer scowled. He hated street vendors. Some of them personally. He remembered his own days as a street vendor, painstakingly crafting his fabric which sold for a shilling a sheet. He remembered fighting for territory and avoiding the sharks who’d come after young sellers and whatever takings they’d made. Ridicule from the crowds and being chased by Bobbies if they’d nothing better to do. Starving. He would never go back to those days. Little Spicer had grown up a lot since then. Besides, they were inefficient. He’d learned that as a rule, you couldn’t con regular people out of their money. Not serious money. If you wanted to con people out of money, you had to con the rich. Tottenham Court Road was where all the most fashionable boutiques and emporia were found, which only the richest and most established could afford. Against the gleaming windows and white façades, the shabby man struggling with a grubby suitcase and a foul expression looked quite out of place. But this was also the location of Grenouille’s Galleria, which was Spicer’s destination. He entered by the front door, much to the disapproval of the customers inside, who immediately left. Mr. Grenouille said nothing, merely motioning Spicer behind the counter and into the grubby back room. Heaps of clothes lay haphazardly across the floor. A half-made dress hung from a claw in the wall. Spicer unclasped his suitcase. Reams of cloth sprung from the box and strew themselves all over Grenouille, who examined it piece by piece as he rolled it into neat coils. Each piece was the same; it was springy, soft, very shiny and a distinctive green. Spicer sold fifty rolls for five pounds each. Before he left, Spicer quietly donned a glove and broke his cake of arsenic in half. He crumbled it up and sprinkled some onto Grenouille’s desk and floor. The rest he tucked into an envelope, which he slipped into a crack in the wall. Mr. Spicer returned that night, but without the trunkful of fabric he’d promised. This time Grenouille wasn’t there. His mannequins had been knocked over and the front window smashed. Clothes were everywhere. Spicer thought he saw smudges of blood on the wall. A man stepped out of the shadows. He was un-uniformed, but Spicer had dealt with enough police to know one when he saw one. Speak saw Spicer looking at the web of cracked glass. Mr. Speak stepped closer to him. Spicer didn’t say anything at first. Then he looked Mr. Speak straight in the eye. He never asked questions, he thought to himself. “Pardon me, I don’t involve myself with the police,” Spicer said. He indicated his own un-uniformed self. Life in the upper crust sounded much more promising than traveling to some new city to pound cloth on a hot forge. Money from Boa’s Silk would set him up for a few years. With a title, he could be set for life. He would just have to ditch Scotland Yard and flee to Europe as soon as possible. And there he could live like a prince forever. “I would be delighted to accept your offer,” Spicer said. A uniformed man appeared at the door and motioned to Mr. Speak. Speak stepped out of the room, and Spicer began ripping feverishly through the cupboards under Grenouille’s counter. His mind was galloping. He would need a little stock to get himself started. He searched the counter. If he knew Grenouille there’d be a stash somewhere. Grenouille was always ready to run. It would be hidden somewhere clever, seemingly innocuous, but easily grabbed in an emergency. In the bottom of a drawer, he saw three rag dolls. Spicer knew Grenouille made dolls out of cloth scraps he couldn’t use. Tiny fragments of silk and taffeta were often stuffed into linen and sacking and fashioned into cheap children’s toys. These dolls, however, had been made from large sheets of silk. Mr. Spicer was an expert in silk. He’d studied it for years to make the most beautiful possible counterfeits. He knew, for example, that even a square yard of silk could be scrunched down into a ball no bigger than a baby’s fist. He knew that even a handkerchief could absorb up a cupful of water before becoming more than damp. He also knew that it could be swallowed very safely, and that smugglers routinely bound stolen goods in silk before storing them in the stomach. He felt the feet of the doll and grinned. Little stones had been sewn into the fabric of the doll. He squeezed the stones to the edge of the skin. Sure enough, he saw a glimmer through the cloth. The limbs had only been pinned in place, not sewn. Pulling them apart was as easy as plucking petals from a daisy. He tipped his head back and relaxed his throat, dropping each part into his mouth one by one. Two arms, two legs and a torso slid down his gullet, so smoothly that he didn’t even gag. The only part he couldn’t consume was the head, which was a painted wooden ball held in place by pins. He stuffed this into his suitcase, in the secret compartment that looked like a seam. Perhaps Grenouille had used it all. But there were almost always a few scraps left, and he hadn’t seen any around. Suddenly, Spicer felt sick. He pulled the doll’s head out of his bag and examined it closely for the first time. The cloth had all gone, but a few ragged strands of silk still clung to the pin which once connected head to body. The fibres were small and thin, but Spicer had a well-trained eye. Where the pin had clasped the cloth, three hairs of silk still clung. Two were dull and creamy white, but the middle was a curl of glittering green. The Girl with the Mangled Breast. Next week we’ll feature a very unique “crime” story by Cynthia St-Pierre. A cancer patient receiving treatment at a local cancer hospital is thrust into the middle of a murder at the clinic where she’s receiving treatment. Who would murder a cancer patient right in the clinic? The killer had to have been masked as either a patient or technician in order to move about so freely. The woman, although somewhat shaken, is able to help uncover the truth and bring to justice the killer. This girl with the mangled breast is no ordinary sleuth! Read this compelling mystery next week.